This is all you need for homework. Just add a bag! 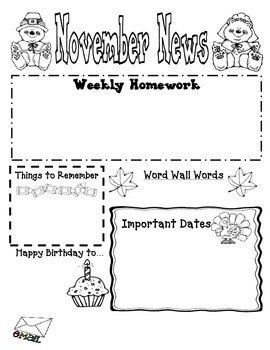 The newsletter includes a space for the weekly homework instructions, updates, birthdays, important dates, and your email address. 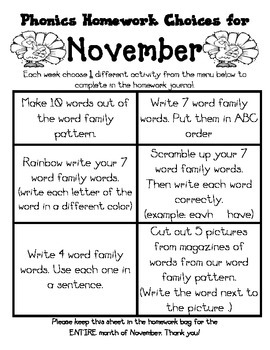 The phonics choices are for any word family. Very cute graphics! Also included is a homework journal cover. Please let me know if there is anything you would like included and I can try to make minor changes to my products to make it work for your classroom.